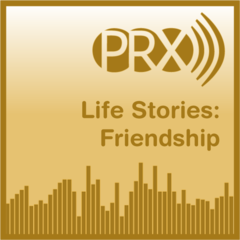 These are public radio stories made over many years, by producer Jay Allison -- working together with Christina Egloff, and friends, colleagues, neighbors, strangers and whoever would take the loan of one of his tape recorders. They are are stories about life as we find it, and record it. HOST: Alex Chadwick In this hour: Baseball, Church, Kids	(4:42) You're supposed to be pals with your kids. That means taking them places and doing things together, right? Carolyn: A Portrait of Race in Boston	(27:05) A story about co-existing with other people, even when it's hard. It's told by Carolyn Wren Shannon from Charlestown, Massachusetts. NOTE: This piece contains the "N-word". The use is important, not trivial, and ties to the central ideas about racism in the piece. Produced with Cecilia Vaisman and WGBH Boston. Fire and Ice Cream	(9:40) In 1991, when Brent was 14, he was badly burned and ended up in Children's National Medical Center's Burn Unit in Washington, DC. Ten years later he talks about love and pain. Produced with Brent Runyon The Vietnam Tapes of Lance Cpl. Michael Baronowski	(20:40) In 1966, a 19-year-old marine took a reel-to reel tape recorder with him into the Vietnam War. For two months, until he was killed in action, Lance Corporal Michael Baronowski made 3-inch open reel tapes of his friends, of life in foxholes, of combat. Thirty-four years later, his friend and comrade Tim Duffie found those tapes. Produced for Lost & Found Sound. Lead producer, Christina Egloff.